Thibaut Pinot (Groupama-FDJ) has taken the victory at the 19th stage of the Vuelta a España. The Frenchman was part of an attack on the last climb and crossed the finish line ahead of Simon Yates and Steven Kruijswijk. The 19th stage of the Spanish grand tour was the first of the week's climbing challenges for the GC contenders and took the riders through a 154.4-kilometre course with its finish on the first category climb of the Coll de la Rabassa. The stage started with many attempts of an escape and Michal Kwiatkowski, Simon Clarke and Amanuel Ghebreigzabhier were the first ones to do it successfully, though they were reeled back in some kilometres later after they were joined by other riders and forced the peloton to hunt them. Benjamin Thomas, Tom Van Asbroeck and Jonathan Castroviejo formed a new escape group and built a gap of more than a minute with the pack. Behind them, Movistar increased the pace and managed to break the peloton but Mitchelton-Scott worked hard to put it back together. At the start of the climb of the day, the escapees were reeled back in and soon George Bennett attacked and took his teammate Steven Kruijswijk (LottoNL-Jumbo) with him. Nairo Quintana (Movistar) jumped from the peloton and caught the duo in front. 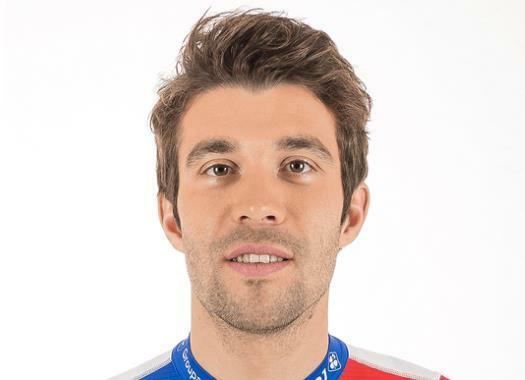 Bennett soon ran out of steam and was replaced by Thibaut Pinot (Groupama-FDJ). A few kilometres later, race leader Simon Yates (Mitchelton-Scott) attacked from the pack and joined the men in front with Quintana forced to wait for his teammate Alejandro Valverde. The trio of escapees kept going until they got an advantage of more than one minute over the group of Valverde. There were attacks from the chase group by Wilco Kelderman (Sunweb) and Tony Gallopin (AG2R La Mondiale). With around three kilometres to go, Pinot attacked at the front but was soon joined by the other two. With a bit more than one kilometre to go, Miguel Angel Lopez (Astana) attacked and was followed by Valverde, Rigoberto Uran (EF Education First) and Enric Mas (Quick-Step Floors). Some metres later, Valverde started suffering and was left behind by the others, while Kruiswijk also dropped from the front group. Pinot accelerated in the last kilometer and took the stage victory, Yates was in second position and Kruijswijk in third. Uran crossed the finish line in fourth position and was followed by Lopez and Mas. Valverde arrived to the end at one minute and 12 seconds from Pinot and managed to maintain the second position of the GC. Yates extended his lead in the overall classification and is one minute and 38 seconds ahead of Valverde. Kruijswijk climbed back to a podium position and is at one minute and 58 seconds from the leader.